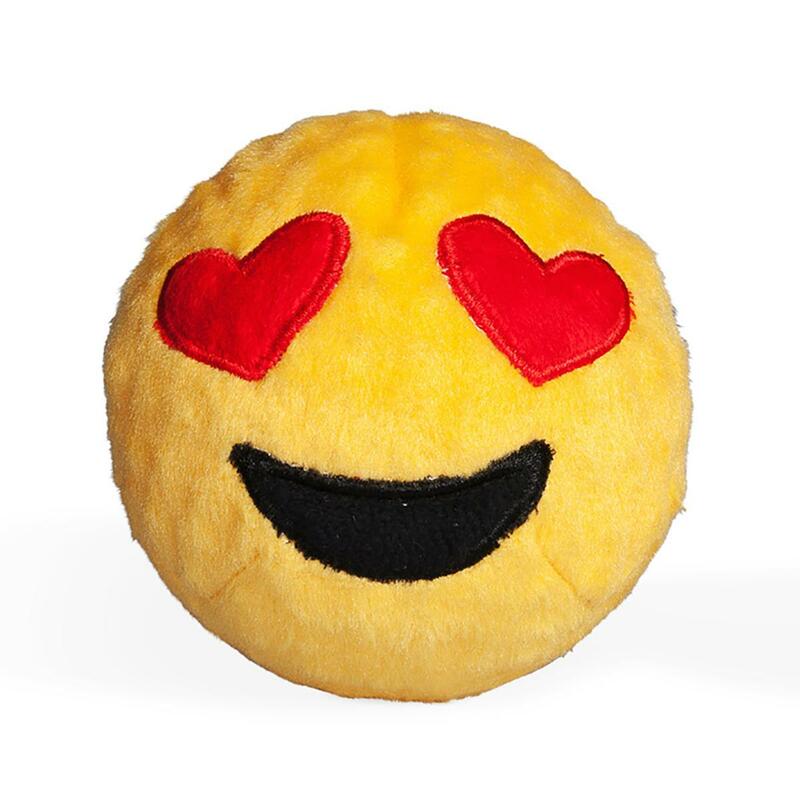 The Heart Eyes Love Emoji Faballs Dog Toy will bouncy and squeak into your millennial pups heart!! 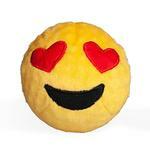 This Heart Eyes Emoji will give your dog hours of hip fun from the Emoji Faballs Dog Toy. TPR Squeaker ball with nubs under a soft cotton fabric and embroidered face. Great for fetch and soothing gums! Spot clean with water. Loves the ball, tore the cover off within minutes! My Chihuahua loves spikey rubber balls but to pay $10 for it because the cover is so easy to rip off, I feel like that too. Ripped off.